Lady and the Tramp. 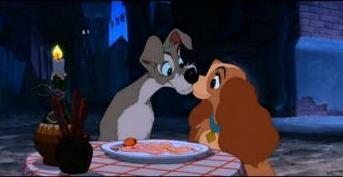 The cutest Kiss between animated chiens ever! :D. Wallpaper and background images in the baisers célèbres club tagged: kiss lady and the tramp.